Menchi burger, by Saruno Burger, originally uploaded by schahn. 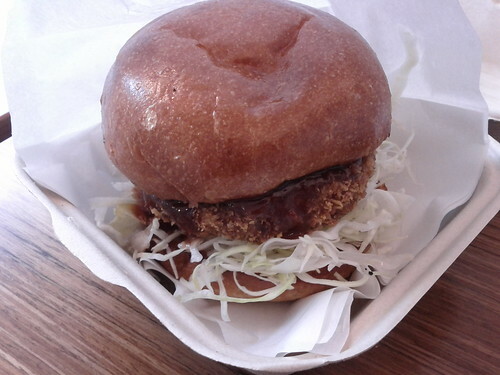 The Saruno Burger truck [Yelp], which is based out of Brisbane, made a stop in our neighborhood, allowing us to try its Japanese interpretation of the hamburger without our usual drive up or down US101. The Menchi burger is a hamburger and onion patty, coated in breadcrumbs, deep fried, and served on a brioche bun. Tasty.